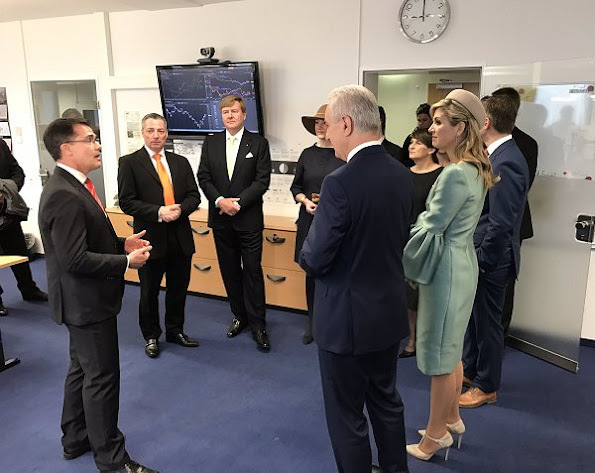 On the 3rd day of their Germany visit, the Dutch royal couple, King Willem-Alexander and Queen Maxima visited the district of Gruenau, an industrialized apartment block settlement from the GDR, in Leipzig, eastern Germany, on February 9, 2017. 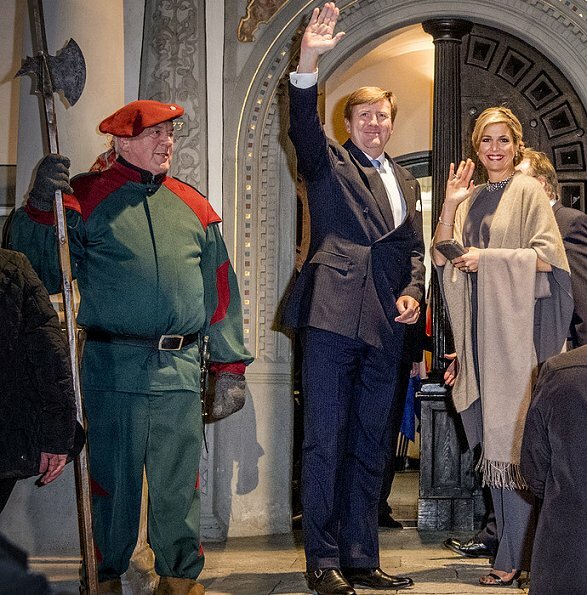 King Willem-Alexander and Queen Maxima of The Netherlands visit Prime Minister Haseloff in the Rathaus for an dinner during their 4 day visit to Germany. Shoes too summery and delicate for this look, but apart from that very flattering and attractive. Agree about the shoes. I think the dress is also not suitable for outdoors in the winter. It looks more suited to evening wear. And I'm not keen on the shawl AND scarf look, although Maxima seems to love both. Would she really have been warm enough? Wonderful colour but I don't like the shiny fabric and the trumpet sleeves for a morning event, especially not for visiting a market and attending a business meeting. As for the shoes I agree with Vanessa. fabulous! love the colors, wrap and warm things (cold out!). men's dark/long coat nice. Maxima's outfit is really amazing but I shall agree with Heather .. it's more suitable for evening. A really strange choice for a morning event - I have seen pictures elsewhere of the enormous diamond bow with enormous aquamarine pendant that she wore... to a morning event! Maxima s'est trompée de valise ! I've seen her wear the dress before. I like the color combination and I love the style of her hat. I would have chosen different style shoe -- maybe a taupe suede pump with a block heel. Nice and shiny, that's Maxima - no matter if it's morning or evening. Beautifully groomed, hair looks great, hat looks great. Hate the shoes, not fond of the dress, love the earrings for Maxima's day look. 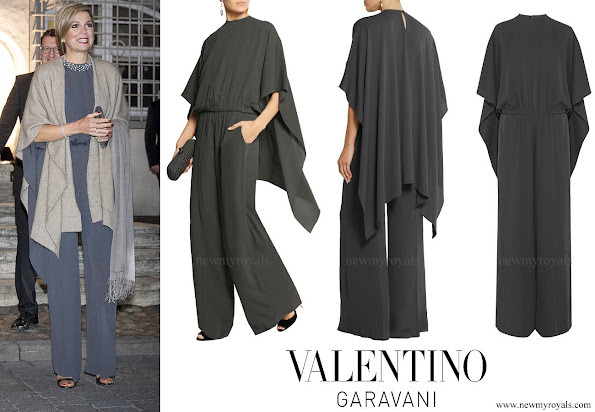 The best and most brilliant is the Valentino look for the evening! Stunning!!! Ms. Electra, do you know what necklace she paired with the Valentino?